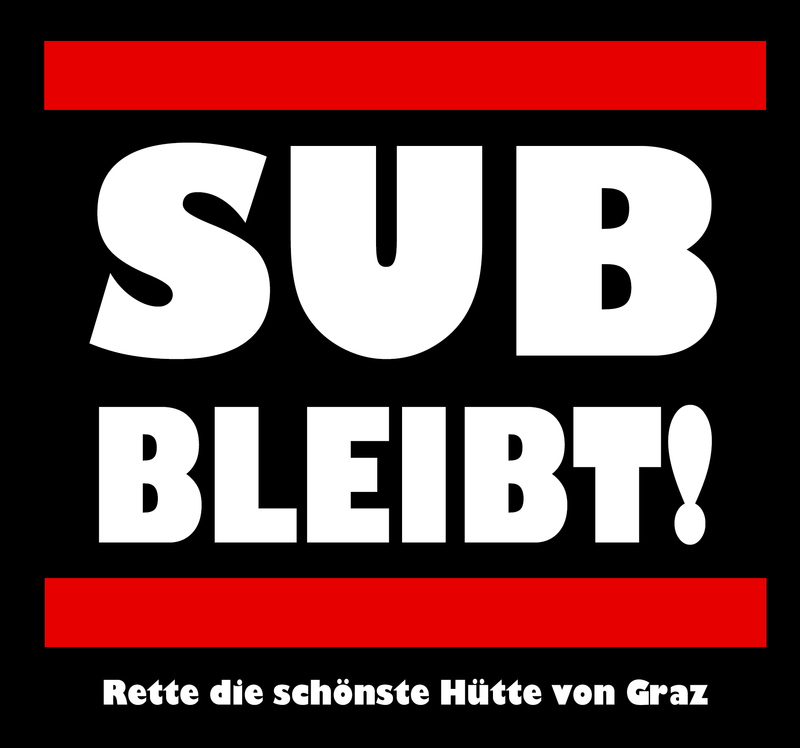 In the damned 17th year SUb in Graz has come to a crossroad. Our house is aging and does not meet the requirements for operation. 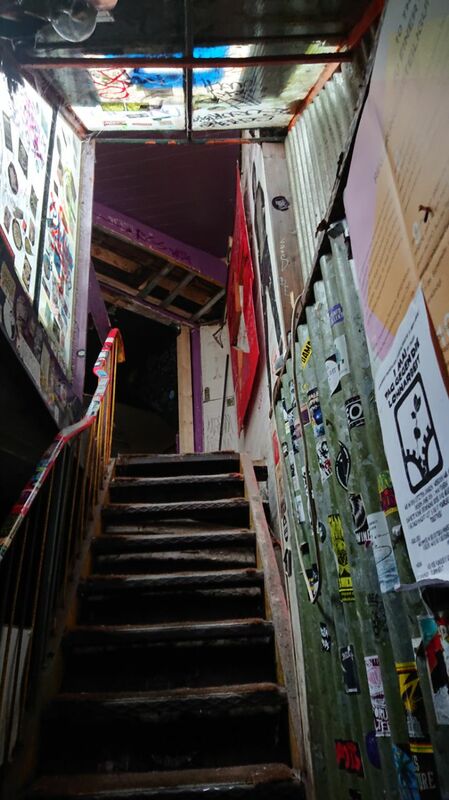 The self-governed and non-profit club project SUb in Graz has come to a crossroad. 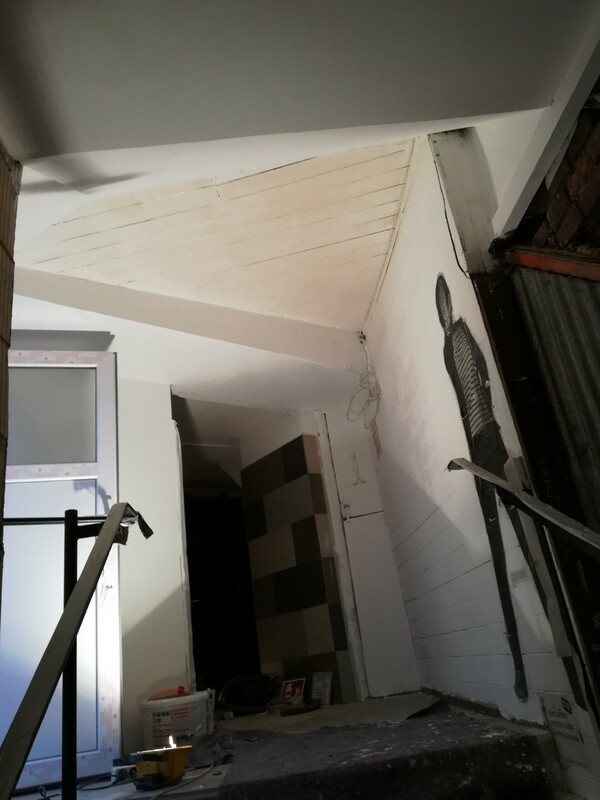 Our building is aging and at the same time the requirements for operation has become stricter. About thousand artists of all genres and corners of this world have appeared on the stage of the colorful house at the Mur river in the course of the last two decades. This was only possible because many beautiful people invested and invest their precious free-time, without any financial remuneration. 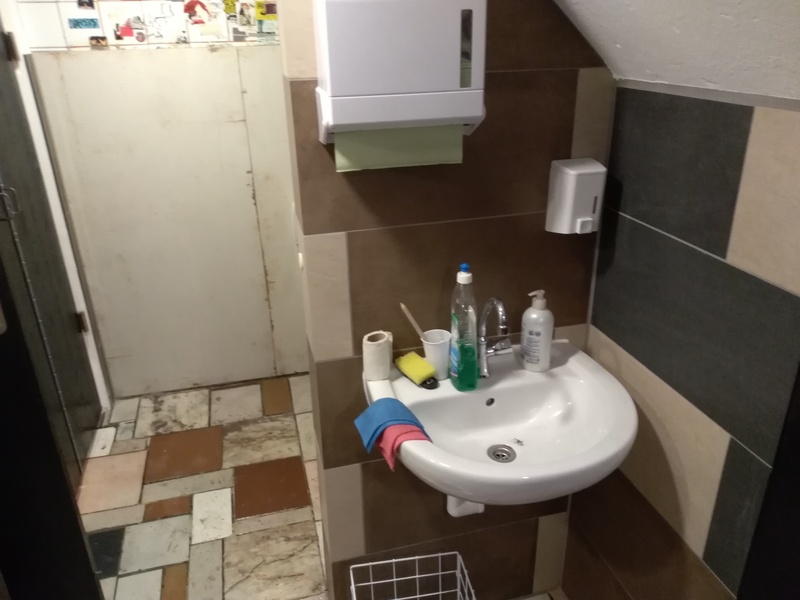 After a number of controls by several city agencies we have reached a point at which a bigger reconstruction of the building has become inevitable in order to function in the future. Our financial and personnel resources are not enough to master the challenges posed by the proposed reconstruction. Since our association is financed exclusively by donations and minimal membership fees. 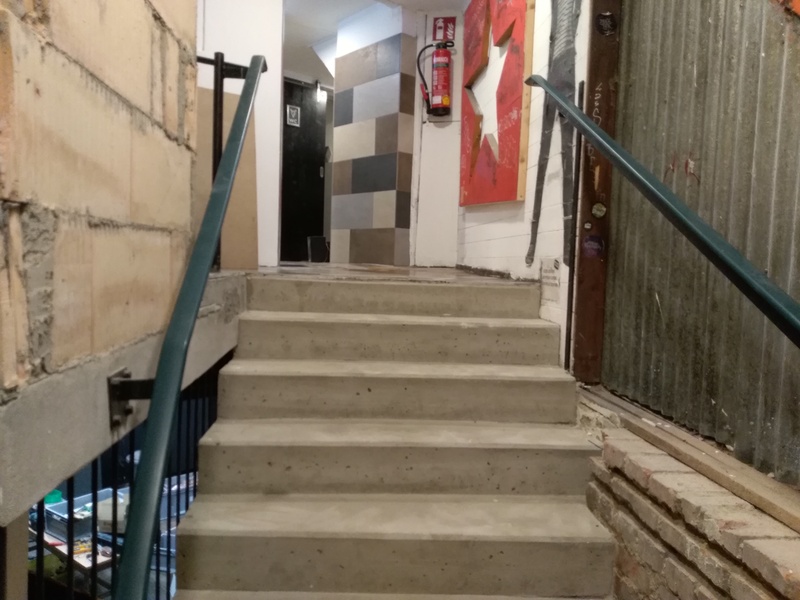 We need at least 16.000€ and your support on the construction site so that we can accomplish proposed reconstruction. SUb is always exactly, what the people who participate make of it. Therefore, whether SUb will survive the summer depends also on you! 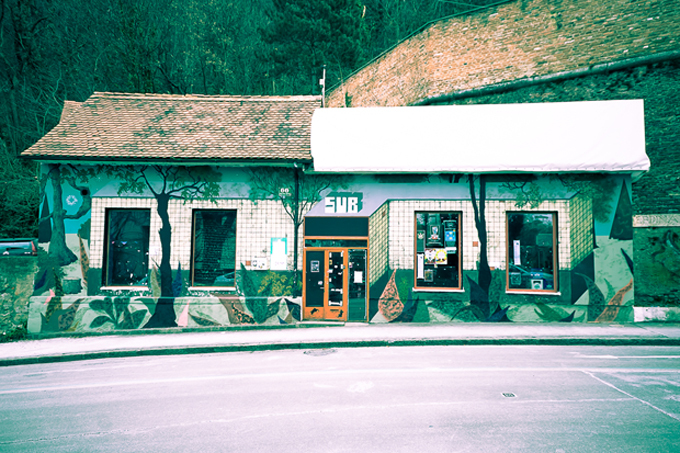 Get active and save the nicest hut in Graz! Complete billing, invoice copies of the expenditures, which were earned with the means on Respekt.net, photo documentation, on-line final report. 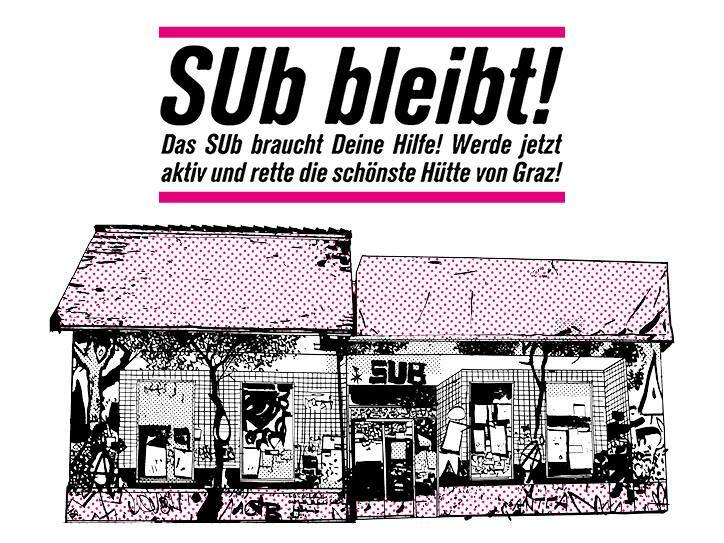 SUb remains – save the nicest hut in Graz! 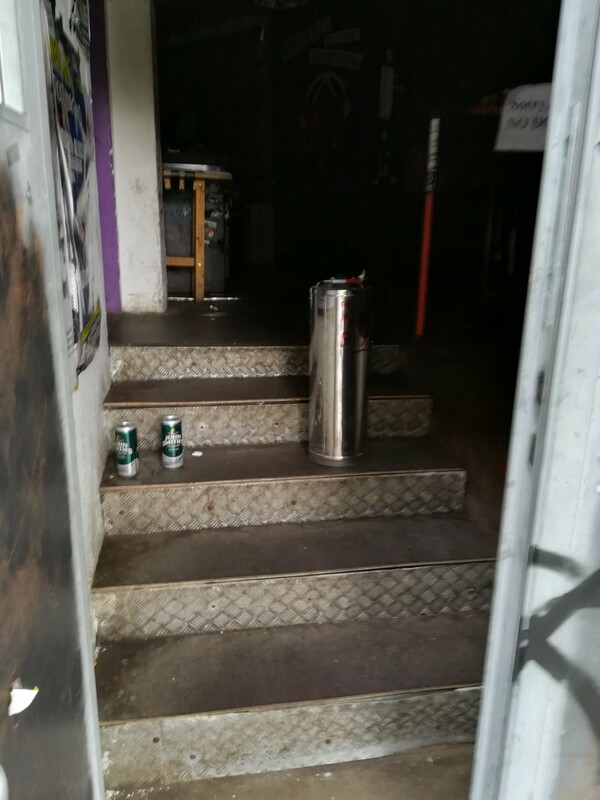 In the damned 17th year SUb in Graz has come to a crossroad. Our venue in Kaiser-Franz-Josef-Kai is aging. At the same time the requirements for operation has become stricter over the years. After a number of controls by several city agencies we have reached a point at which a bigger reconstruction of the building has become inevitable in order to function in the future. Our financial and personnel resources are not enough to master the challenges posed by the proposed reconstruction. This is where you come into the picture! The reconstruction is necessary to meet the required conditions and construction standards. At the same time, the aging infrastructure will be modernized and improved. 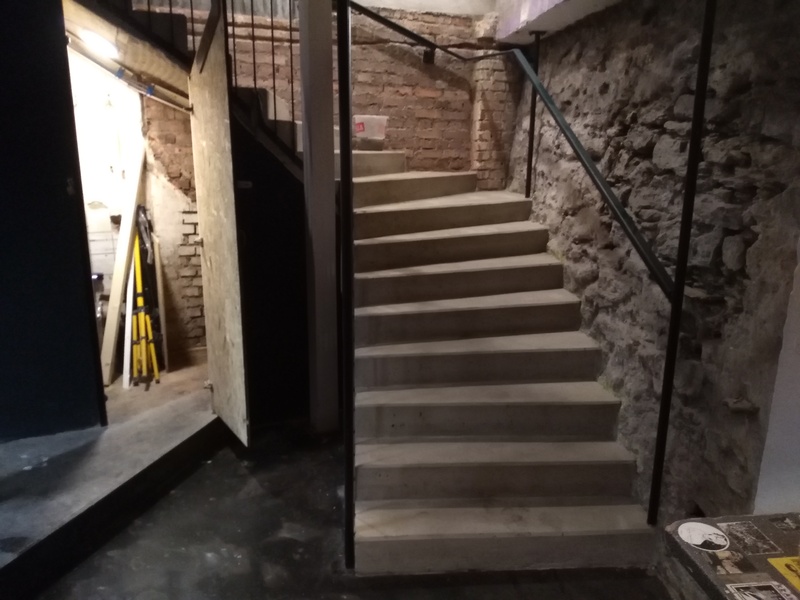 We have to rebuild the stairs to the first floor and the sanitary facilities on the first floor must be renewed and expanded. On the ground floor, smaller measures to improve fire safety must be taken. For this reason we would even need more than 16.000€ to reach our goal. SUb is a self-governed club project on Kaiser-Franz-Josef-Kai street in Graz. All decisions regarding the collective are made in the weekly plenum. The low-threshold, diverse program ranges from concerts, parties, readings, workshops to discussion events. About thousand artists of all genres and corners of this world have appeared on the stage of the colorful house at the Mur river in the course of the last two decades. This was only possible because many beautiful people invested and invest their precious free-time, without any financial remuneration. In general, everyone is welcome to participate in our club but we don’t accept discriminating behavior or ideologies. Web: Visit our Project on Facebook / Twitter and like / share our posts or take a look at our blog. Help with construction work: You are looking for the ideal summer activity and want to get tanned at our construction? Just contact us. Experience is not necessary and we are looking forward to your improvisation talent! 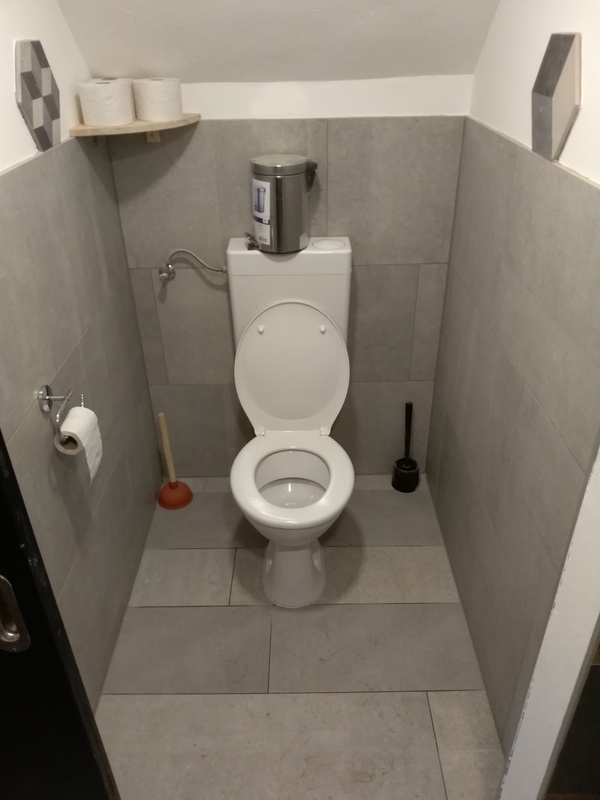 Donations in kind: You recently finished renovating your house or apartment and you have leftover doors, tiles, toilets? Let us know, because we can surely use it. Participation in the collective: You live in Graz and want to become a part? Don’t be shy! SUb is an open collective, in which your ideas are more than welcome! SUb should remain a low-threshold space for local and international artists and should offer everyone a rich cultural program. 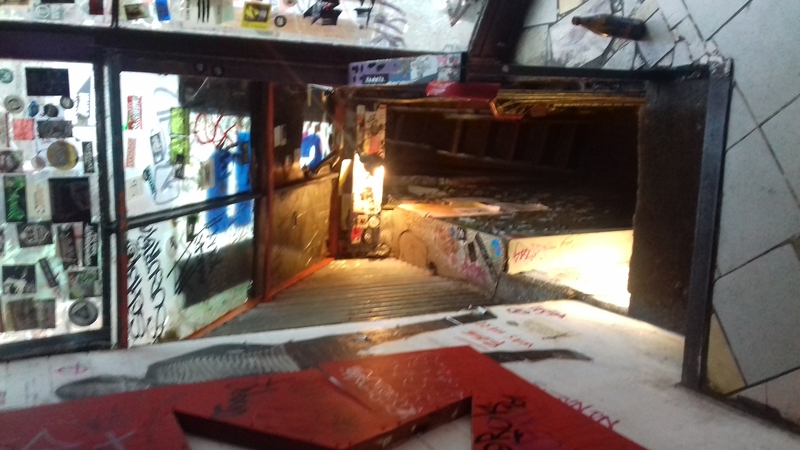 In the light of the ever more diminishing social climate that is leaning towards authoritarianism, without sustainable vision or empathy, SUb remains an important place of counter culture.The cooperation and exchange of ideas in this collective clearly shows that a different – not neoliberal – society is possible. SUb represents an antithesis in the mainstream society; with its dog eat dog mentality. Solidarity instead of concurrency! Ende Juni 2018 hat der Umbau unserer Vereinsräumlichkeiten am Kaiser-Franz-Josef-Kai 66, 8010 Graz begonnen. Der Umbau wurde notwendig, weil das Haus in die Jahre gekommen ist und teilweise nicht mehr den behördlichen Vorgaben entsprochen hat. Geplant und durchgeführt wurden die Bauarbeiten bis auf wenige Ausnahmen (Stiege und Sanitärbereich) ehrenamtlich von Vereinsmitgliedern und anderen Freiwilligen. Aufgrund von verschiedenen Verzögerungen (durch Terminverschiebungen, unvorhergesehenen Hindernissen und Zeitmangel der Vereinsmitglieder) konnten die Bauarbeiten nicht wie vorgesehen bis zum 20. September 2018 fertiggestellt werden, sondern erst am 31. Oktober 2018. Innerhalb dieses Zeitraums ist kaum ein Bereich des Hauses unverändert geblieben, es wurde die Raumaufteilung im Obergeschoss geändert, die Terrasse durch das neue Stiegenhaus verkleinert. Außerdem haben Brandschutzmaßnahmen das Erscheinungsbild des Untergeschosses verändert. Wir möchten uns an dieser Stelle bei den vielen helfenden Händen, die am Bau mitangepackt haben, und bei den unzähligen Spender_innen auf Respekt.net für die großzügige Unterstützung bedanken! Merci! 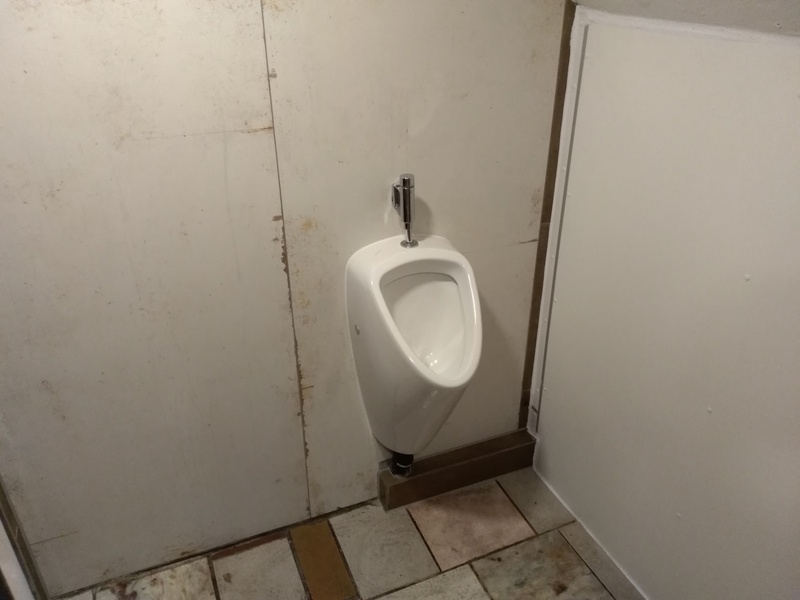 Ohne den Umbau des Hauses hätten wir unsere Vereinstätigkeit nicht mehr fortführen können. Die Räumlichkeiten können so weiterhin von zahlreichen nationalen und internationalen Künstler_innen bespielt werden, wodurch vielen Menschen ein niederschwelliger Zugang zu einem vielfältigen Kultur- und Diskursprogramm ermöglicht wird. Gerade in einer Zeit wie dieser, die von einem Klima allgemeiner Empathielosigkeit, Autoritarismus und Kurzsichtigkeit geprägt ist, ist ein Ort wie das SUb wichtiger denn je. Die Zusammenarbeit und der gemeinsame Austausch in einem Kollektiv wie diesem zeigen, dass eine andere – als die neoliberale – Gesellschaft möglich ist. Das SUb ist die gelebte Antithese zur täglich spürbaren Ellbogenmentalität. Die unterschiedlichen Reaktionen auf den Umbau waren bisher sehr positiv. Die riesige und vielfältige Solidarität in den letzten Monaten hat gezeigt, dass vielen Menschen etwas am SUb liegt und es weiter bestehen muss. Der Schauspieler und Künstler Robert Stadlober hat es in einer Videobotschaft auf den Punkt gebracht: „I wü dann ka Graz mehr, wenns ka SUb gibt!" Die mediale Berichterstattung über den Umbau und das SUb an sich war äußerst positiv. Reaktionen auf Social Media können Sie den Kommentaren auf unserer Facebookseite und unserem Twitter Profil entnehmen. Mit den via Respekt.net gesammelten Spendengeldern wurde vor allem die Errichtung einer neuen Eingangsstiege und einer neuen Stiege ins Obergeschoss, durch die Firma Gruber Bau, bezahlt. 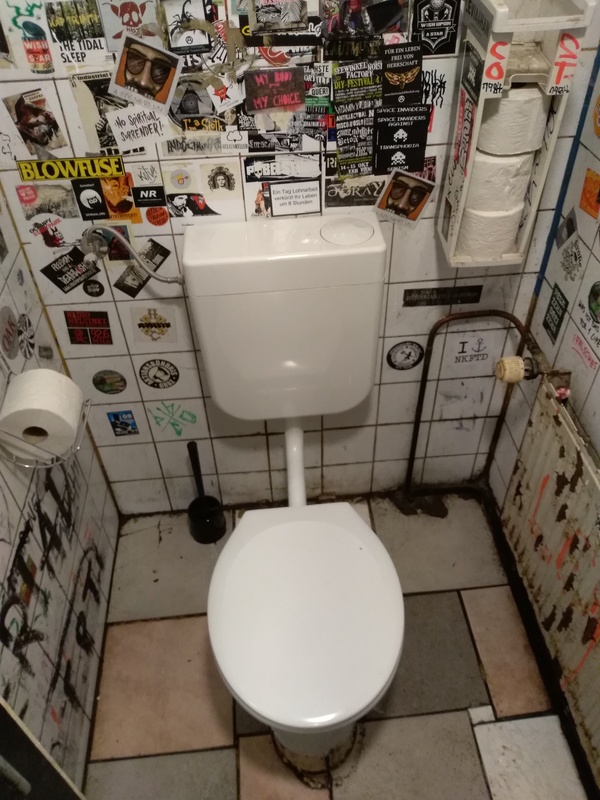 Mit dem restlichen Betrag wurde ein Teil der Sanierung und Erweiterung des Sanitärbereiches im Obergeschoss, durch die Installationsfirma Reisinger, bezahlt. Die tatsächlichen Kosten der beiden Projekte, entsprechen fast genau den veranschlagten. Eine Kostenaufstellung und die Belege finden Sie im Abschluss PDF.